Thanks to everyone who took part in the February Slow Cooker Challenge. 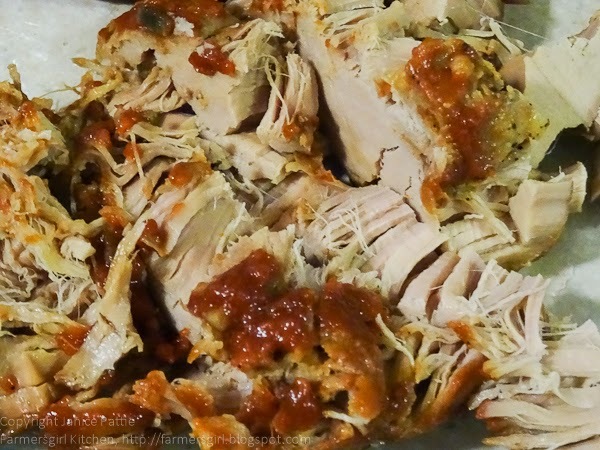 The theme was open so we had a real variety of dishes, see them all in the Feburary Slow Cooker Challenge Round Up. This is the book for those who cook for two and prefer not to eat leftovers for days, however the recipes can be doubled up if you are feeding a family. About the Author: Cynthia Stevens Graubart is an author and former television producer who began her culinary television production career with New Southern Cooking with Nathalie Dupree in 1985. She is the author of The One-Armed Cook, called the culinary version of What to Expect When You’re Expecting. Cynthia and her husband, Cliff, live in Atlanta, Georgia. The Introduction covers the basics such as selecting a slow cooker, there is also a really useful section on all the additional equipment, mostly dishes and baking tins, that you can use inside your slow cooker eg mini loaf pan, ramekins etc. 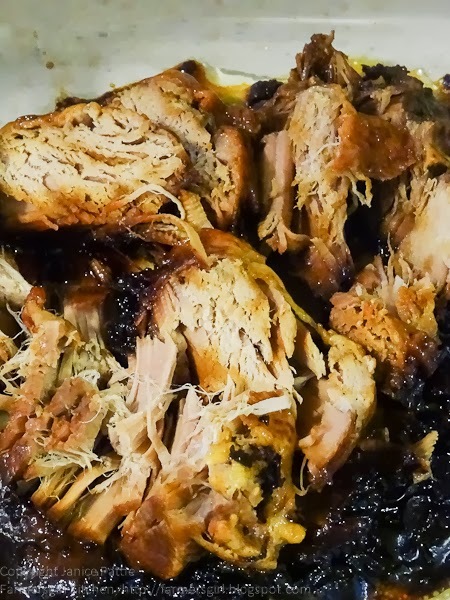 In the Poultry chapter, I was particularly taken with Lemon Chicken, Cacciatore - Style Chicken Thighs, Honey Ginger Chicken Thighs and Turkey Meatloaf with Basil and Mozzarella. Now we come to the chapter of genius: Double Dinners! Cynthia uses Slow Cooker liners for this technique, you can get them online, but I had some roasting bags and decided to see if they would work and they did. 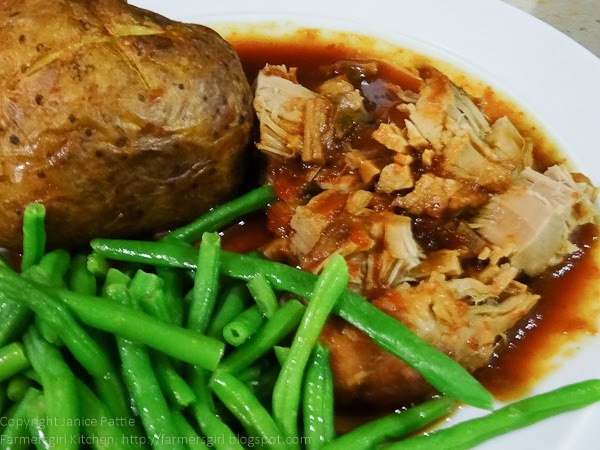 The principle is to create two different meals using the same main ingredient and cook them in the bags side by side in the slow cooker. One to eat straight away, the other decanted into a dish and chilled or frozen for later consumption. The chapter on Seafood has a limited number of recipes but includes a clever foil pouch Lemon Dill Salmon which takes just two hours on low in the Slow Cooker and a Shrimp in Herb Butter Sauce dish. There are over 20 recipes for Side Dishes, who knew you could bake potatoes in your slow cooker? You probably did, but I had no idea. Even mash can be made in the slow cooker, glazed carrots, roasted root vegetables, Polenta and Mushroom Risotto. 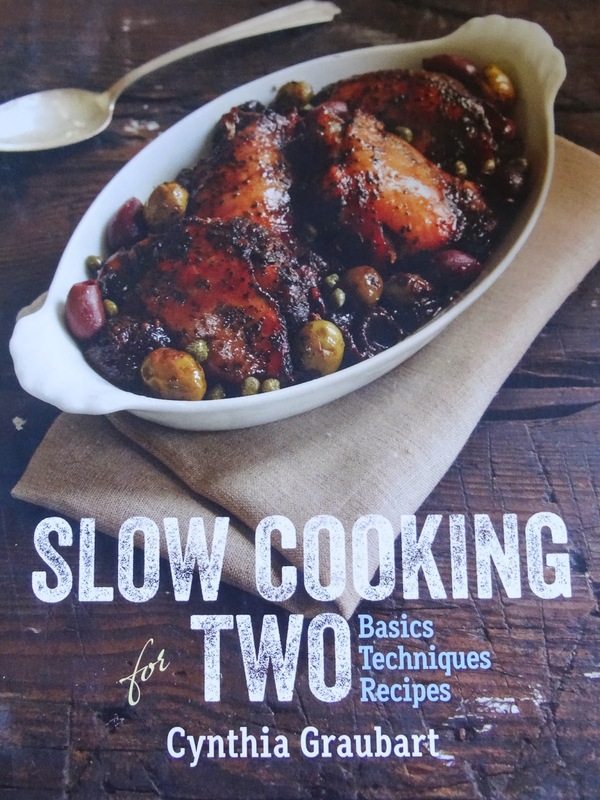 This is a really useful chapter with a lot of side dishesI wouldn't have thought of making in the slow cooker. And so to Desserts, I have still to try making dessert in my slow cooker, it is always occupied with cooking my main meal! However I am itching to have a go at Lemon Cake, Lemon Curd, Apple Crisp and Poached Pears. For those who like to entertain there are some Dips and Appetisers that look simple to make and packed with flavour, including Hot Cheese Dip, Kale and Artichoke Dip, Spicy Mixed Nuts and White Bean Spread. Pros: A good variety of innovative recipes which are clearly laid out and easy to follow. Clever techniques like the double dinners make this a stand out recipe book. Most recipes have short ingredient lists and there's an excellent index and a metric conversion chart. A few Notes pages are also included so you can write up your own recipes and variations. Cons: no picture for every recipe, high predominance of meat based main dishes, not much for the vegetarian or vegan. dribbling onto my laptop again, may blow a fuse!... love that top picture... I may be popping by unannounced for dinner this week!